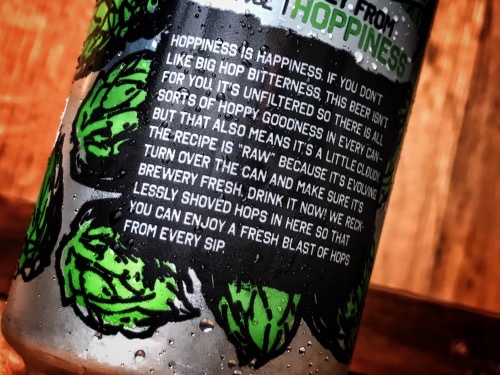 Hoppiness is happiness. If you don’t like big hop bitterness, this beer isn’t for you. 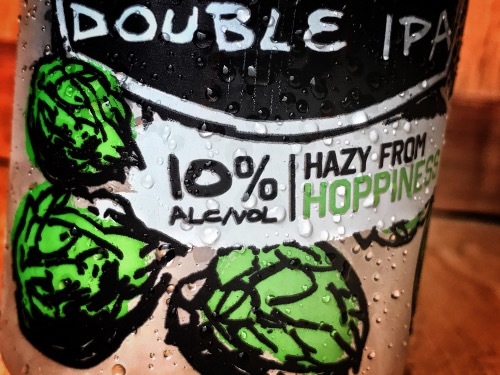 It’s unfiltered so there is all sorts of hoppy goodness in every can – but that also means it’s a little cloudy. The recipe is “raw” because it’s evolving. Turn over the can and make sure it’s brewery fresh. Drink it now! 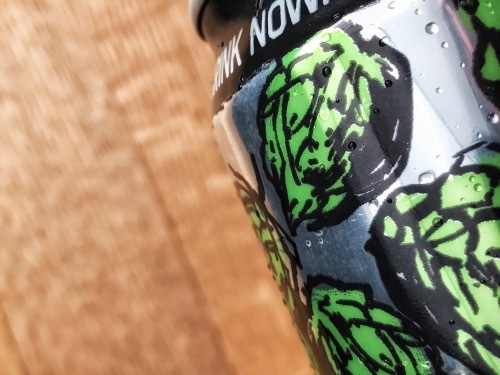 We recklessly shoved hops in here so that you can enjoy a fresh blast of hops from every sip. This beer is fresh, it’s hoppy, it’s delicious. I can’t even explain the excitement that I felt when I heard that Sam Adams would be dropping of a cold package on my doorstep this morning, and the pure raw happiness that I feel seeing this hazy IPA sitting in my glass right now. Polaris – Kettle – Fruity, and intensely floral hops, with notes of fresh mint. Amarillo – Kettle – Orange, grapefruit and tangerine notes with slight fruit sweetness. Zeus – Kettle – Earthy, and spicky with hints of citrus. Centennial – Dry Hop – Medium citrus, intense floral with hints of wood. Cascade – Dry Hop – Floral, spicy citrus and grapefruit with hints of red berries. Simcoe – Dry Hop – Intense pine, with aromas of passionfruit and apricot. 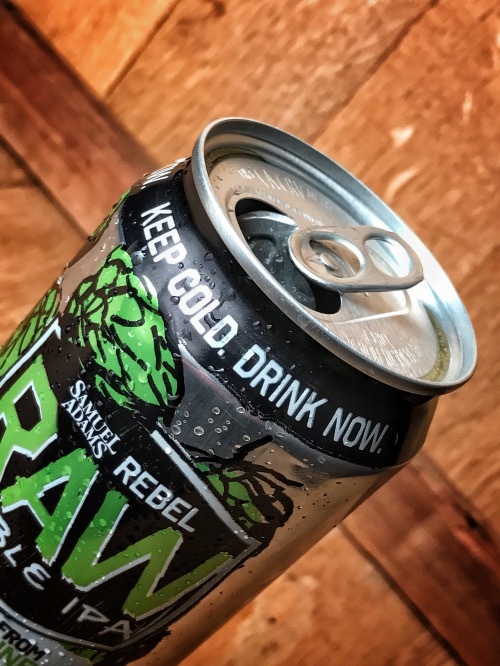 They strive to keep this beer fresh before it reaches your beer glass. With hop characater diminishing over time in IPAs, they want to make sure you get the full impact of the seven varieties of hops that they use. Its got a 35 day shelf life. 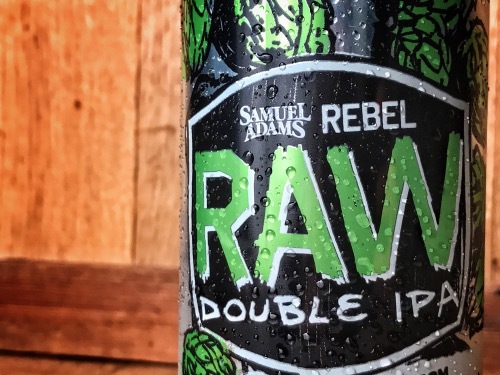 This is the shortest shelf life of any beer that Sam Adams has ever produced. It’s also suppose to be kept cold, from the minute it leaves the brewery to the second it touches your lips. You might think all this is just some goofy gimmick, but rest assured that this extremely limited beer is done this way solely to preserve all the hoppiness. The brewery warns you to expect a hoppy beer… full of citrus, floral, spice and resinous pine notes. 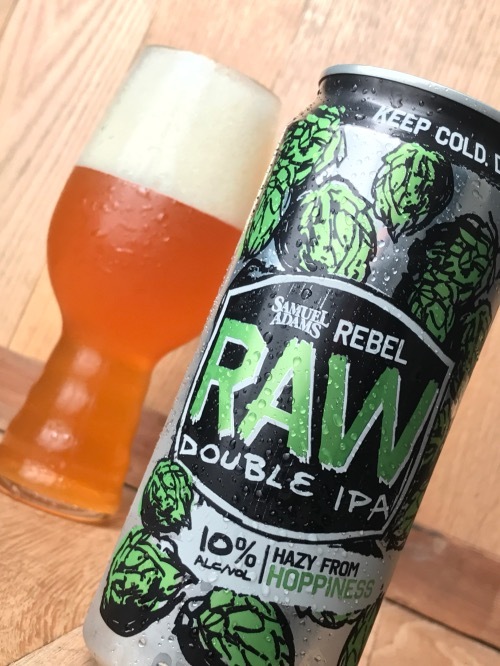 That’s exactly what you get with Rebel Raw. In the glass, the beer is extremely hazy, an orange liquid with a big, thick sticky head on top. It’s beautiful. Aromas are just what the brewery talks about… the citrus is what I get the most of with a deep sniff – it’s sweet and outdoorsy. Just fantastic. Flavors are more on the thick pine resinous side, wth a light kiss of the citrus coming through. The bitterness isn’t bracing like some west coast IPAs have a tendency to be, instead setting up shop on the back of the tounge as a little bit of bite. Next Next post: Hello, Listermann Bottle Release! Black Friday Goodness.